ABB and the Indian Institute of Technology Madras (IITM) have agreed to work jointly to design and build rural microgrids. 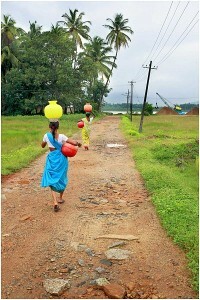 Thousands of Indian villages are still un-electrified; microgrids have the potential to power them, reducing dependence on expensive diesel fuel and the grid. Along with ABB equipment, the rural microgrids will enable homes to be fitted with energy-efficient direct current (DC) devices such as LED bulbs, TV, cell-phone charges, and brushless DC motor-based fans. The project will be managed by IITM until the transfer of the installations to the local distribution utility. IITM has developed and demonstrated solar-based energy-efficient DC homes over the last few years. ABB has a strong portfolio of products for renewable energy integration, distribution and automation of interconnected renewable energy sources that form local microgrids. The agreement between ABB and IITM also includes internship opportunities for post-graduate students of IITM, since rural microgrid development is expected to evolve rapidly in the coming years in India. At the end of last year, ABB had set up India’s first multi-source urban microgrid in the heart of Delhi to power its flagship event, Automation and Power World. 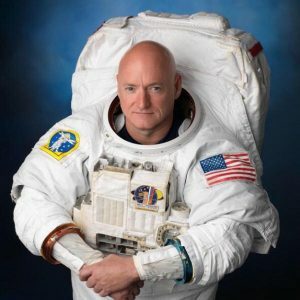 Renowned astronaut Captain Scott Kelly, who completed a record-breaking 340-day trip in space, will be the keynote speaker at the International District Energy Association (IDEA)’s annual conference. The 107th annual International District Energy Conference will take place in St. Paul, Minnesota, June 20 -23, 2016. 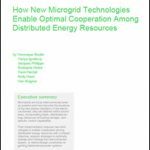 It brings together global industry experts on resilient microgrids, combined heat & power and sustainable energy technologies for cities, campuses and communities. Minnesota is home to North America’s largest hot water district heating system. It is recognized by the United Nations Environment program as a global leader in district energy systems. IDEA conference attendees will be able to tour operating district energy systems serving downtown St. Paul, downtown Minneapolis and a new CHP system at the University of Minnesota. A special tour of Rochester, MN will feature the district energy system serving the Mayo Clinic and the energy infrastructure planning for a $6 billion sustainable healthcare community expansion. Much of the focus of energy storage to date has been in North America, Europe and Asia. But could Africa offer unique off-grid opportunities as well? Bushveld Minerals, a mineral development company with a portfolio of vanadium, titanium, iron ore, tin and coal assets in Africa, is focusing on developing and promoting the role of African-mined vanadium in the global energy storage market for vanadium redox flow batteries. The company signed a memorandum of understanding between its subsidiary Bushveld Energy Limited and UniEnergy Technologies (UET), a US-based manufacturer of large- and medium-scale energy storage systems for utility, microgrid, and commercial and industrial applications. The core of the UET system is a vanadium redox flow battery (VRFB). Several VRFB systems will be installed during 2016, with a focus on large commercial customers, and industrial and utility applications where energy storage can reduce energy costs — for example, off-grid locations. Both companies see South Africa as having favorable competitive advantages to become an additional base for VRFB manufacturing to meet the forecasted growth in energy storage adoption. Grid penetration is below 50 percent in most African countries, and diesel is the primary source of energy. The recent USA Power Act and the Power Africa initiative will likely open up more opportunities in supporting energy generation. “Africa’s insufficient power infrastructure and rapidly growing electricity demand create a unique environment for immediate, mass-scale adoption of energy storage, especially in tandem with rising renewable energy generation adoption,” said Fortune Mojapelo, CEO of Bushveld Minerals Limited. Solid oxide fuel cells (SOFCs) are among the most efficient and cost-effective sources of power, rivaling other fuel cells, batteries, internal combustion engines and coal- or oil-fired heat engines, according to a new report. BCC Research reports that SOFCs are transitioning from an emerging market to a specialty market whose sales have doubled in the past five years — and will likely double again over the forecast period. The SOFC market is expected to reach nearly $1.2 billion by 2020 from $662 million in 2015, increasing at a five-year compound annual growth rate (CAGR) of 12.3 percent. Fuel cells, like batteries, produce electrical energy through an electrochemical process. Unlike batteries, fuel cells are conversion devices that change chemical fuel into electricity. Like combustion engines, fuel cells convert fuel into energy, but in this case, the energy is electricity rather than kinetic (movement) or heat. The global market for SOFC totaled $303 million and $622 million in 2008 and 2012, respectively. The segment comprising generators, remote and APU applications is expected to grow from $260 million in 2015 to $410 million in 2020, reflecting a five-year CAGR of 9.5 percent. Combined heat and power (CHP) applications segment should reach $240 million and $550 million in 2015 and 2020, respectively, demonstrating a five-year CAGR of 18 percent. “SOFCs are transitioning from an emerging market to a specialty market, and are poised to become a mass market for both the residential heating and power and, eventually, the consumer electronics industries,” says BCC Research analyst Donald Saxman. SOFC’s solid-state design offers a key competitive advantage because it eliminates the corrosion problems associated with some liquid electrolyte fuel cells. Like molten carbonate fuel cells, SOFCs take the more traditional liquid electrolyte with a hard ceramic material. This allows for the potential of decreased manufacturing costs and increased reliability. Its technology often employs solid-state cells constructed of ceramic yttria stabilized zirconia (YSZ) electrolytes instead of corrosive liquid electrolytes. As a result, the cells are simpler to design, manufacture, install and operate. Read more in the report, Solid Oxide Fuel Cells: Technologies and Global Markets. 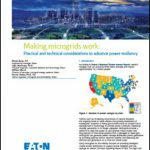 For more news on rural microgrids, follow us on Twitter @MicrogridNews.